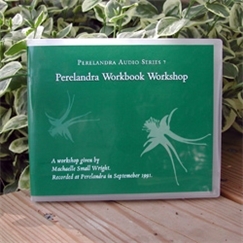 Audio: Workbook Workshop - Perelandra Ltd.
For those working with the Perelandra Garden Workbook. This is also an excellent aid if you want to use these books but feel overwhelmed. Along with the discussions, Machaelle demonstrates how simple it is to use the Workbook processes by designing (with nature) a rather nifty children's garden.